You can experience many types of headaches, with symptoms ranging from the nagging ache of a tension headache to the severe pain of cluster headaches that can last for weeks. 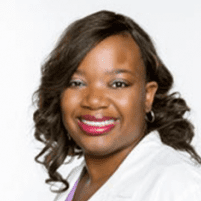 Sharisse Stephenson, MD, at Neurological Associates of North Texas has extensive experience helping patients with headaches get quick and long-lasting relief from their pain. To find relief for your headaches, call one of the offices in Abilene or Dallas, Texas, or make an appointment using the online booking feature. Primary headaches are caused by problems directly related to your head and neck. They may develop due to chemical activity in your brain, nerve sensitivity, tense muscles, or issues affecting your blood vessels. Primary headaches include tension headaches, cluster headaches, and migraines. Tension headaches are the most common type in adults. Cluster headaches cause excruciating pain and occur frequently for about 6-12 weeks before going away. Migraines cause an intense, throbbing pain that lasts 4-72 hours. During a migraine, you’ll also experience symptoms such as nausea, vomiting, and extreme sensitivity to light, sounds, and smells. A secondary headache is caused by an underlying health problem, such as a concussion, a sinus headache, and a medication-overuse headache. When should I see a neurologist for a headache? If you also have symptoms such as nausea, vomiting, dizziness, confusion, a fever, or blurry vision, it’s important to get an expert evaluation from a neurologist. In addition to prescription medications that relieve the pain of a current headache, Dr. Stephenson also prescribes preventive medications for cluster and migraine headaches. These preventive medications can help reduce the severity and frequency of these severe headaches. Nerves transmit pain signals to your brain, so one way to stop headache pain is by blocking the nerves. When your brain doesn’t get the message, you stop feeling the pain. During a nerve block, Dr. Stephenson injects anesthesia on or near specific nerves, depending on the type of headache. In some cases, an anti-inflammatory corticosteroid may also be mixed with the anesthesia. Nerve blocks provide nearly immediate pain relief that may last for weeks to months. For patients with chronic migraines — 15 or more headaches a month, with at least eight being migraines — Botox® injections every 12 weeks can help reduce the frequency and severity of your headaches. If you suffer from headaches, pain relief is available at Neurological Associates of North Texas — call or book an appointment online today.